Latus Motors Harley-Davidson® near St. Helens, Oregon is proud to help riders of all levels to secure the new Harley-Davidson motorcycle that meets their needs. If you are looking for a new Touring model to crisscross the country, take a look at the new 2019 Harley-Davidson® Touring Road Glide Ultra®. Along with our vast selection of 2019 Harley-Davidson® motorcycles for sale, we also provide the motorcycle resources you need. 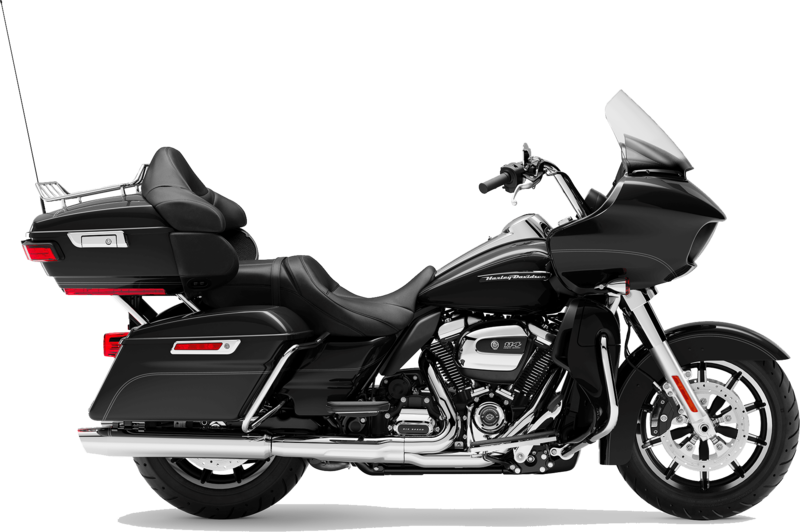 For those of you who are looking to upgrade your current bike, trade in your used motorcycle and upgrade to the 2019 Road Glide Ultra®. Head to our local motorcycle dealership and hop on the 2019 Road Glide Ultra®! If you love the open road then the Road Glide Ultra® is the ideal Touring companion for country crisscrosses. With its Milwaukee-Eight™ 114 V-Twin engine, the Road Glide Ultra® delivers 122 foot-pounds of torque to the rear wheel with crisp throttle response. Dual Daymaker® Reflector LED headlamps to illuminate the road ahead and alert other motorists to your presence. The 13.5-inch custom style windscreen will shield you from rocks, insects, and reduce wind buffeting. The same is true of the frame-mounted shark nose fairing. On those longer rides, the high-performing front and rear suspension will keep you comfortable. When you need to bring your new Harley® to a controlled stop. Braking performance comes from the Reflex Linked Brembo® brakes with ABS. When you want to create a custom playlist for your ride, the BOOM!™ Box GTS infotainment system will get you where you're going. Here at our full-service Harley-Davidson® dealership, we staff a team of friendly finance associates. Our agents are eager to help you find an affordable motorcycle loan with a low down payment. If you are trying to decide if it's better to buy or lease, our team will answer your questions. Take the short ride from Tigard, Oregon to our dealership and test ride the 2019 Touring Road Glide Ultra® today. 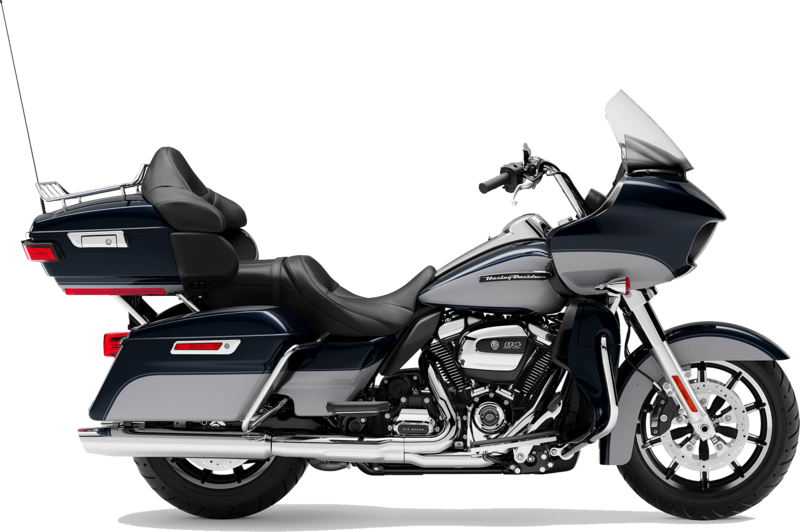 The 2019 Road Glide® Ultra will take you beyond the horizon in comfort and style. 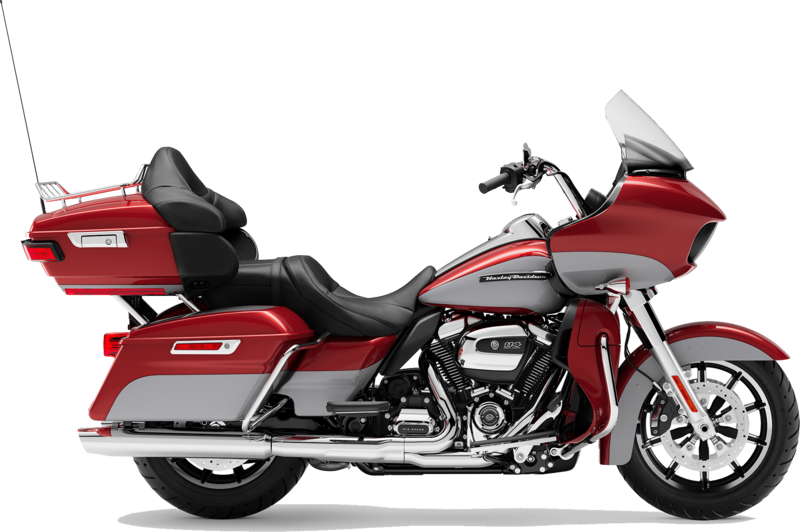 Attack the horizon on this new Harley® from Latus Motors Harley-Davidson. Seat Height, Laden 7 27.2 in. 8 High beam, neutral, running lights, turn signals, low oil pressure, engine diagnostics, cruise control, speakers, accessory, security system, 6-speed, low fuel warning, ABS.